I bring some experience to the mix. 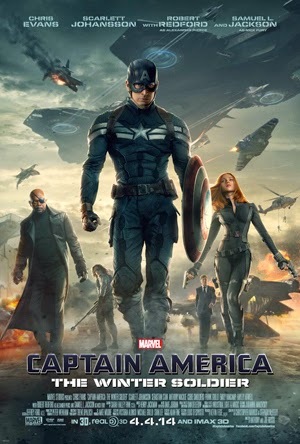 I’m pretty picky when it comes to a good show, so when I saw the first Captain America and practically yawned through it, I was skeptical of what Winter Soldier would bring. Previews looked good, hope was we were past all the standard origin story rehash and there would be a good story. And yes, yes there was. Like going down the Hollywood Blockbuster grocery list we had the big struggle, the heart string moments (pluck), questions of trust, and a great mixture of conflict. I don’t typically get all hung up on how true to the comics they are, I rather pay more attention to if they got the feel of the movie and character right. First movie, Cap was half a character with moments of greatness. Inconsistent, but he had some. This movie he is a real boy. Granted, perhaps the director of the first was trying to show Cap finding his fledgling way through a new world. But it was either overdone, or for me, missed the point. Winter Soldier is solid. Go see it... Er, little late for that, I mean: watch it.